The United States is referred to as the land of opportunities, the land of plenty and the land of the free. Americans pride themselves with so many inventions, an admirable system of governance and the largest economy. With one of the modest and well funded militaries in the world, the US recruits thousands of people into its armed forces per year. At the same time, thousands more are discharged due to age, injury or bad behavior. Across the United States, millions of former soldiers (veterans) are re-integrated into society while others who cannot afford housing are kept by the federal government in some facilities. 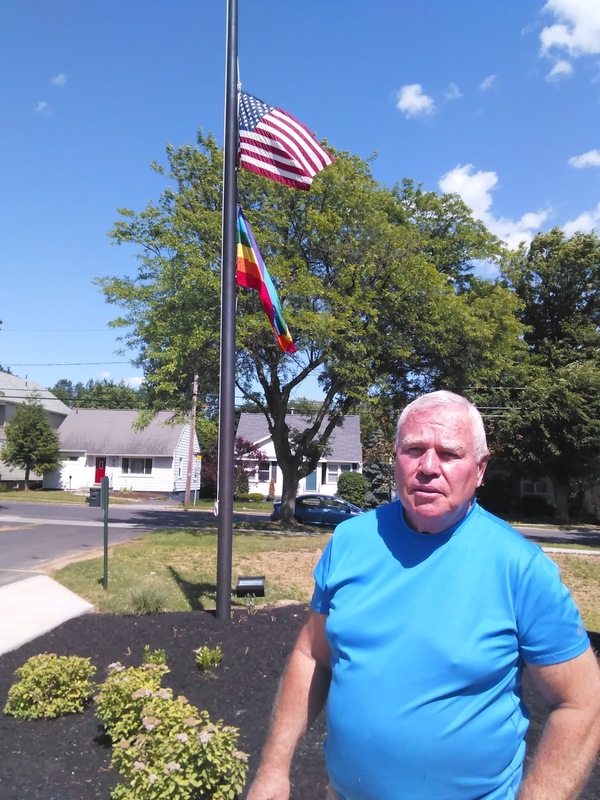 "We currently have 21 million veterans from the various departments under the military," said Robert McLean, a Public Affairs Officer at the Syracuse Veterans Administration (VA) Hospital. The hospital cares for former servicemen from the 13 counties of northern and western New York State. Mr McLean, a former US Marine, says the Syracuse VA Hospital has an annual budget of $290 million, most of which goes towards paying of salaries for the 1, 700 employees. The hospital offers various health services such as behavioral change, counselling, dental care, spine care, post traumatic stress, mental treatment and most illnesses connected with war. Mr McLean, who recently took a group of 2016 Mandela Washington Fellows on a tour of the multi-story facility, revealed that a number of veterans who are homeless and poor are kept and cared for at the hospital. "We are keeping a number of veterans as you can see. These are people who can not manage to feed themselves. We have a room where they watch TV, a room which is well decorated to reflect a military facility so that it can suit their previous life," said Mr McLean, pointing to a wall which has pictures of fighter jets, US flags and soldiers. For poor soldiers who can not afford to be treated at expensive hospitals, VA hospitals is their home until the day they will breathe their last. But for veterans who are poor but still energetic, the Department of Veterans Affairs has a program were they source for land and build houses for the former soldiers and resettle them. During the tour, this blogger saw a number of resident veterans who were confined to wheelchairs but were actively moving around. The veterans have another open room where they play sports to keep them fit. On an annual basis, an average of 47,000 veterans are treated at the Syracuse VA Hospital. 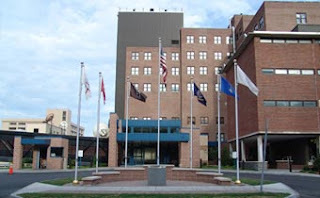 The Department of Veterans Affairs runs several of such hospitals across the US and offers these same services to veterans within the 50 states. The department has an annual budget of $169 billion and according to Mr McLean, it is the second largest US Cabinet agency. Apart from health care, the department also provides benefits to veterans, handles burials and runs cemeteries where veterans are buried. The city of Seneca Falls is located in the north western part of New York state. It is a picturesque town which holds the pride of being the birthplace of the suffrage movement in the United States. 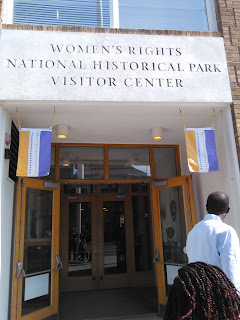 On Saturday, this blogger joined other tourists who visited the Women's Rights National Historical Park which is probably the only national park in the world which is dedicated to the suffrage movement. The park was established by the United States Congress in 1980 and it is run by the US National Park Service. 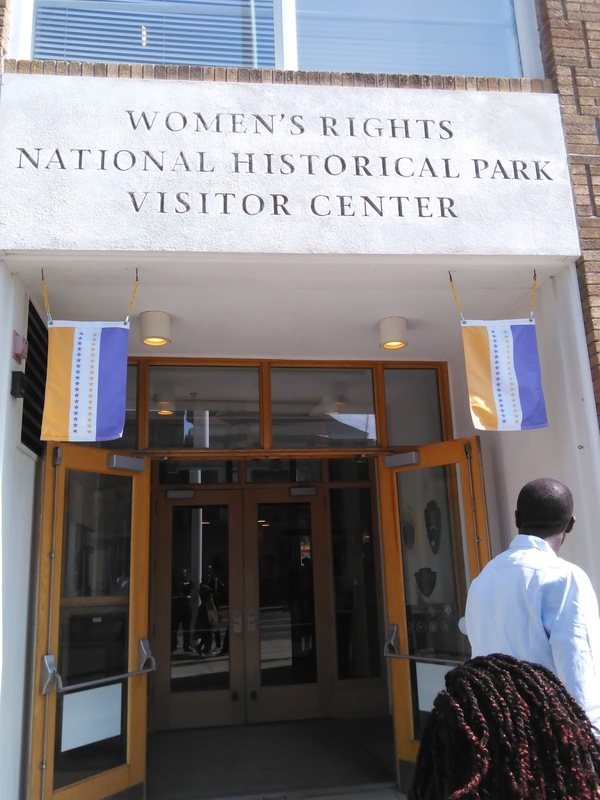 Tourists from both the US and abroad come here to see the impact the suffrage movement had on today's women. Admission is absolutely free and the guides offer 'walking safaris' to various spots within Seneca Falls town where the suffrage movement had an impact. According to the US National Park Service, July is the month when it receives more visitors. 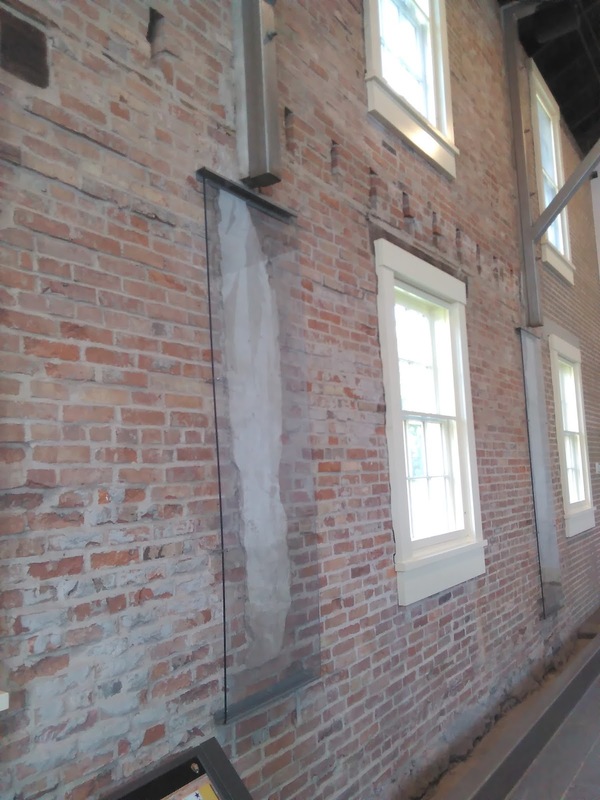 "In the 1840s, a new movement of women who wanted more rights started growing in this town. During that time, women were confined to homes: cooking and taking care of the children. They had no right to vote," said a female guide who was explaining the significance of the suffrage movement to a group of tourists. Under the leadership of Elizabeth Cady Stanton, the women started making noise and raising their profile to be heard by the authorities. Elizabeth, who was popularly known as 'the Caged Lion,' is the woman who is seen as the face of the suffrage movement. The city of Seneca Falls has even named one of its parks after her. Her house, where she lived with her husband and seven children for 15 years, has been preserved and is now a tourist attraction. 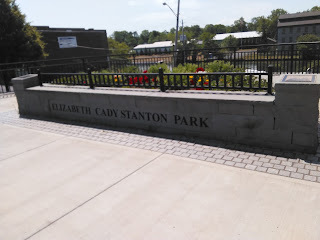 According to records from the US National Park Service, "Elizabeth Stanton's activism was based in large part on her experiences as a Seneca Falls housewife. She was 31 years old when she moved here in 1847 with her husband Henry Stanton, a lawyer and abolitionist lecturer, and three boys. They had four more children." Her husband was one of the co-founders of the Republican party. Elizabeth was deeply religious and she attended church often. "Despite being raised as Methodist, Elizabeth used to worship at the Episcopal Church where she recruited a number of women to join the suffrage movement," said Kyle Harvey, another guide from the US National Park Service. Kyle explained that Elizabeth's advocacy was so powerful that the whole nation started hearing what was happening in New York state. With the help of others, she helped organise a two days first ever Women's Rights Convention which was held at a local Wesleyan Church from 19 to 20 July 1848. 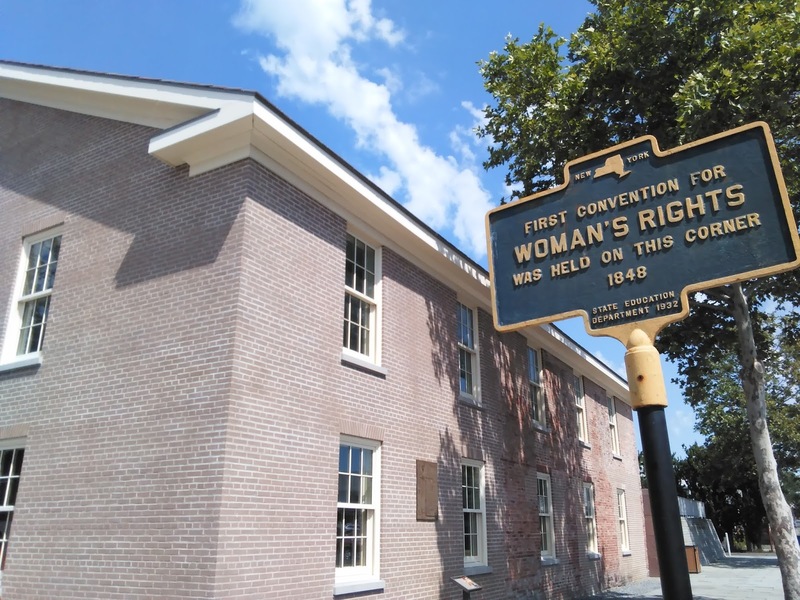 300 people attended the convention which culminated into the famous Declaration of Sentiments which brought out what women wanted, how they perceived life and the need for their rights to be upheld. Despite it being a women's meeting, 32 men attended the convention to give solidarity to their womenfolk. The Declaration, which was tailored on the 1776 US Declaration of Independence, was signed by 68 women and all the 32 men. A plaque for all the women and men who signed the Declaration of Sentiments has been built in the park with names of all the signatories written while water flows over them as a mark of respect for their courage. A visit to the Wesleyan Church which hosted the convention reveals the importance of the suffrage movement. The original church, which was built in 1842, still stands and it is now part of the Women's Rights National Historical Park. Here, visitors seat on old benches and view the original roof erected in 1842 but supported by steal beams. 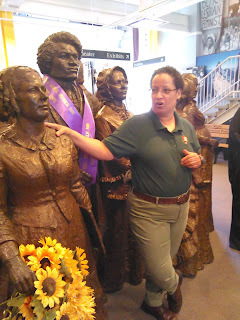 At the visitor center, each of the women and men who played a part in the suffrage have a statue. Photos of their activism are also displayed for visitors to see and understand the role of the movement. Apart from Elizabeth Cady Stanton, others who have statues are Harriet Tubman, Martha and William Wright, Frederick Douglas and several others. Tubman, who is known as 'The Moses of Her People' guided about 70 former slaves to freedom using the Underground Railway network with the help of Mrs Wright. In 2020, Tubman will replace Andrew Jackson on the front page of the $20 note, making her the first African-American to appear on the US currency. In April this year, the US Treasury announced that Tubman and a few others from the suffrage movement will be added on dollar notes. The Wrights, gave refuge to Tubman and several freed slaves on the Underground Railway network which brought people from the south of the USA where slavery was still rampant. The couple were also instrumental in organising the First Women's Convention in 1848. Through this activism, the US Congress in 1920 ratified the famous Nineteenth Amendment of the United States Constitution and gave women the right to vote. "This amendment, which was ratified in 1920, gave women the right to vote. The colours used in the [suffrage] banner were purple for justice, white for purity of intent and gold for courage," reads one of the leaflets from the visitor center. The banner also had 36 stars, representing the 36 original states that ratified the amendment to allow women to vote. Since 1987, March has been commemorated as Women's History Month in the US to highlight the role women played in the suffrage movement and their continued struggle for equality. 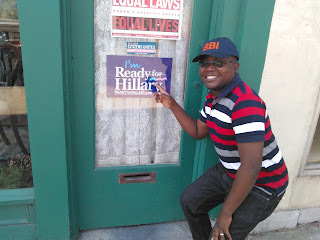 And as i walked through the streets of Seneca Falls on Saturday, i was not shocked to find two campaign posters for the Democratic Party's presumptive nominee Hillary Clinton. Having toured towns such as Auburn, Waterloo and Syracuse without finding any single Hillary poster, i was not shocked to find them in Seneca Falls, a city that gave American women the right to vote. Indeed, Seneca Falls must be happy to see a woman become the first ever nominee for a major political party in the United States who stands more chance than anyone else to be the first ever female President of the USA. Public Broadcasting Service is a tricky sector in most African countries due to the many interests from various sectors such as politics, tradition and business. The African model is usually accused of being biased, inefficient, being perceived as unpopular and having boring programmes. The fact that the state funds these public service media institutions make them targets for opposition criticism. However, in the American context, public broadcasting is a local and community oriented concept which was developed to help people access information in their localities. Despite being funded by the federal or state governments, public radio and TV stations across the USA do not air or propagate government policies or programs. Their mandate is the local community where they are based and all their news and programming is local. On Thursday, i visited WCNY, a local public service TV and radio station which covers central New York state. The station was established 50 years ago by the New York state government but it calls itself a non profit organisation and is exempted from paying tax. 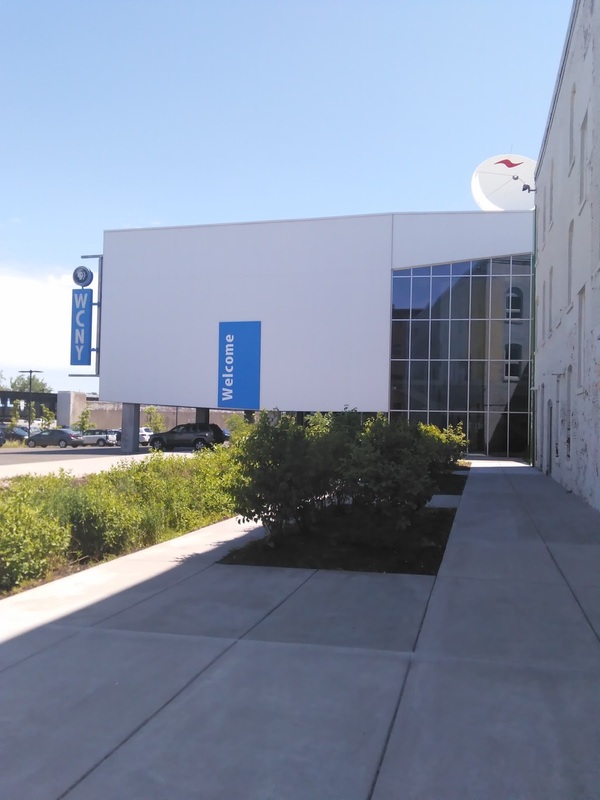 After a tour of the station and having a chat with some of its staff, this blogger decided to write about the concept of public broadcasting service in America. WCNY is located in the center of New York state where politics is part of life and political advertising is very lucrative. Actually, one of the four radio stations broadcasts from Albany, the capital of New State. However, the station does not allow political adverts or any other form of campaigning. This allows the station to remain neutral of any political influence. But during election times, WCNY hosts a number of radio and TV programs were candidates from various political parties participate as a panel to articulate their policies and inform the public what issues they are bringing to the public. "Public Broadcasting regulations do not allow us to broadcast political adverts. We however give a platform to political parties to reach out to our communities through various programs during elections," said Debbie Stack, WCNY Director for Education and Community Engagement. She explains that they do not at all receive pressure or requests for broadcasts from the US federal government. "We are funded by government but we do not have a feed for news from the federal government. We also diversify in other areas to raise revenue," she added. According to Ms Stack, Public Broadcasting Service was established in order to help local communities have easy access to information. She says due to this idea, several of such stations were established across the United States and they concentrate their programming and news to local content and national affairs. 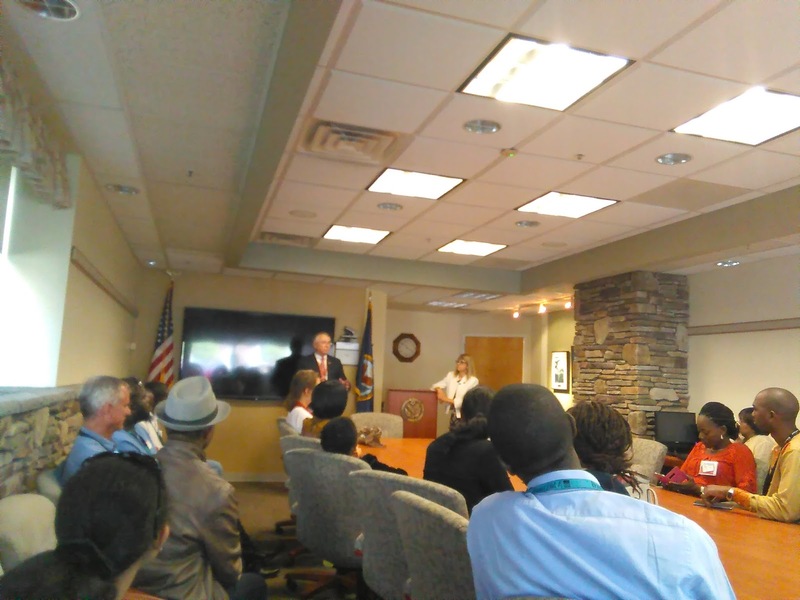 "Here in central New York, our community is largely native Americans, blacks and Hispanics. That is the society we strive to serve on a daily basis." She says several radio and TV programs specially tailored for the community are either suggested by the community itself or conceptualised by the station. "We have a radio program called 'Read out Radio' where a host reads headlines and important stories from local newspapers to the community. This helps our listeners have a feel of what is happening in their locality." The radio also occassionally gives out radio receivers to residents in far flung areas to help them keep in touch with their favourite radio programmes. Members of the community who are talented in radio or TV also volunteer to take part in the programming. Syracuse city is ranked as the poorest city in the US, according to a 2015 survey by a university Professor from Rutgers University and data from the US Census Bureau. Poverty is common in the city due to the closure of several industries over the years and the increase in joblessness. "This city is poor. We have a lot of poverty here. And due to poverty, crime is on the upswing," said Ms Stack. WCNY and the Syracuse Police Department occassionally organise neighbourhood meetings to discuss issues of security and how to make the community secure. The station also runs a weekly show dedicated to public affairs and it is intended to bring local issues and deal with the concerns raised by the public. Due to the multi-racial nature of the inhabitants of Syracuse, WCNY has also employed a diverse workforce to match the needs of the community. The city is dominated by Whites, African-Americans, Hispanics and a few Native Americans (First Nation people). At present, the station has several interns, one of whom is a Kenyan-born lady who has brought the 'African' flavour to the institution. The station is funded in various ways. It receives funding from the federal government for its operations. And being a member-driven institution, WCNY allows members of the community to be part of it by way of purchasing membership cards. The station also carries out other ventures like selling (subscription) of its corporate magazine WCNY Connect. He is popularly known as ‘Mumbwa-Mumbwa’ or the boy from Nangoma. You probably know him as a journalist but us who are closer to him know him as a proud Mumbwa villager. 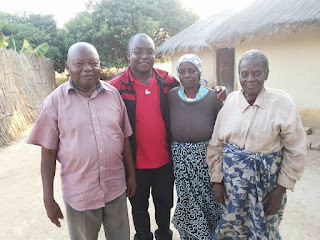 Paul Shalala is so proud of his village that whenever he visits it in his native Mumbwa District, he never comes back without uploading a photo of himself eating lusala or eating mango with his ageing father. Some have been making fun of his once ‘backward’ Mumbwa but the young man does not shy away from revealing his love for his childhood. “I was born in Lusaka, raised in Nangoma area of Mumbwa District, educated in Mumbwa, working in Kitwe and I know one day I will be buried in Mumbwa. 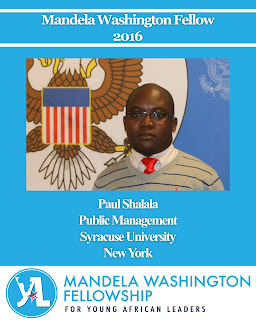 That’s my home and I know no other home than Mumbwa,” said Paul in a telephone interview from Syracuse University in New York where he is studying Public Management as part of US President Barack Obama’s Mandela Washington Fellowship. At a time when most youths brag about ‘living’ in Kabulonga, Ibex Hill or Woodlands, Paul is always talking about his Lubanze village. What is so unique about Nangoma? 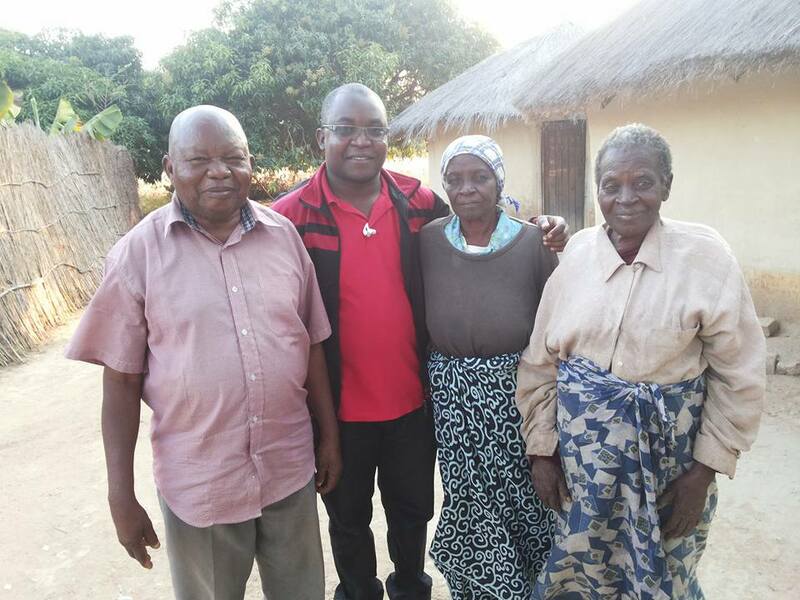 Asked about his own contribution to his village, Paul smiled before opening up saying he even owns a registered transport company for minibuses called Nangoma Transport. He says he had been a Youth leader for the SDA Church in Mumbwa and worked a lot with youths thatside. Despite being born in the capital city, Paul never boasts of being a town boy. His obsession for Mumbwa is surprising. 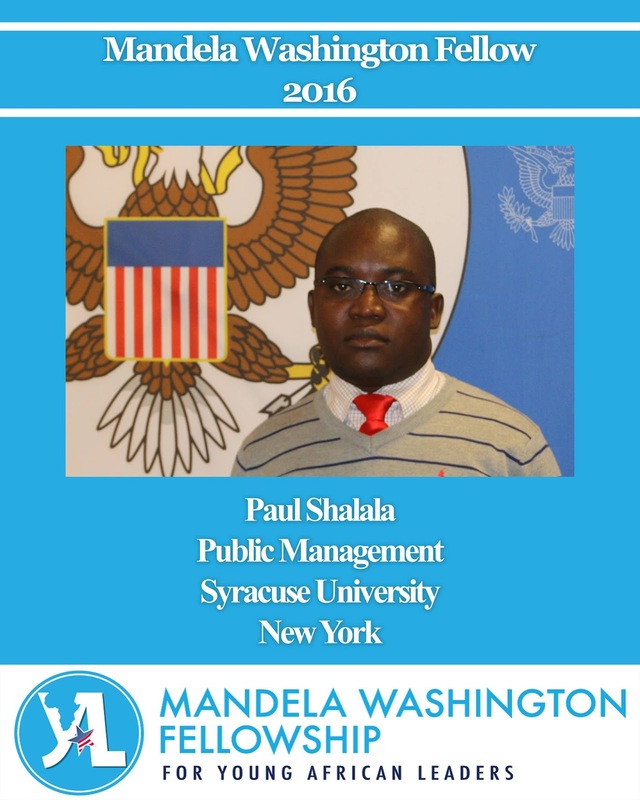 On Thursday last week, he and 41 other Zambian youths left for the United States to be part of the 2016 Mandela Washington Fellowship. 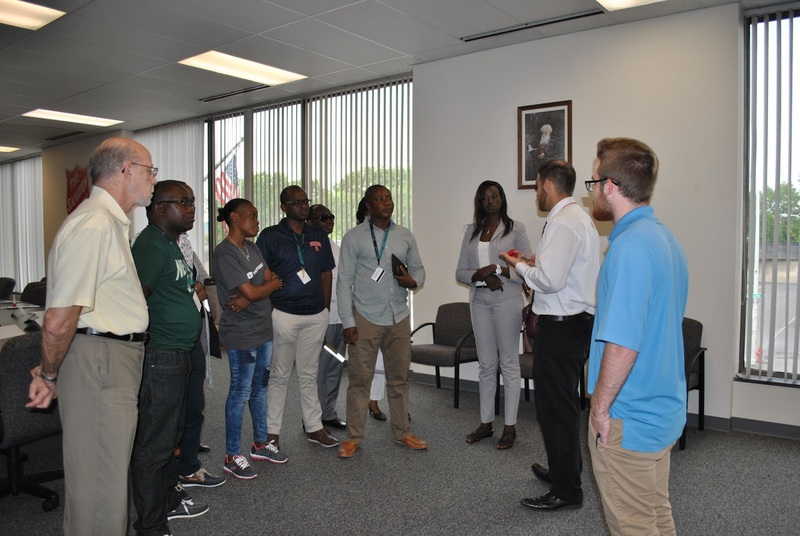 The 42 youths were selected by the US State Department to be part of the 1,000 young Africans who are currently spread across the US attending training at various American universities in public management, energy, civic leadership and business and entrepreneurship. 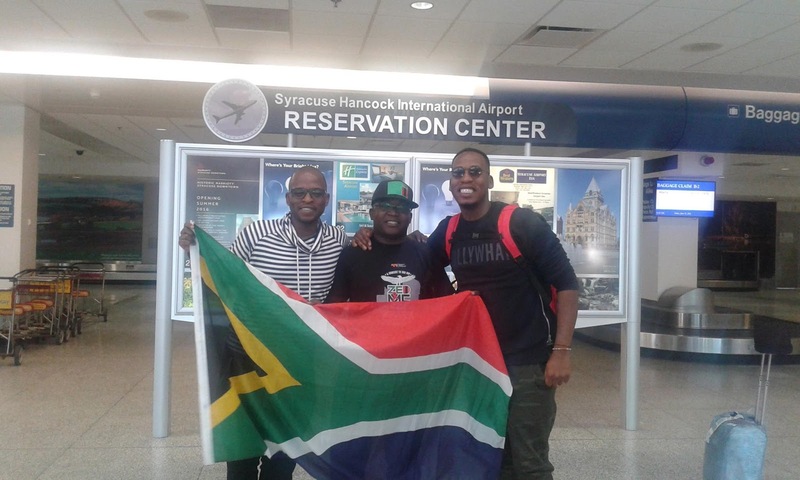 Paul is studying Public Management at Syracuse University’s Maxwell School of Citizenship and Public Affairs with 24 other youths from other African countries. “I never ever dreamt of one day stepping into an American university and be taught by a Professor. It’s a humbling experience and I thank President Barack Obama for this once in a lifetime opportunity. I applied for this opportunity in 2013 and 2014 but I didn’t make it. I never gave up and for sure the following year I applied and here iam………,” he said. Paul says he is already inspired by the composition of the fellows he has seen so far. And with the coming of the Presidential Summit in Washington, DC which will climax with President Obama addressing all the 1,000 fellows during a town hall meeting in August, Paul says it will be an emotional thing for him to see Obama. “I grew up in the George W. H. Bush days and I know every US President since then,by name. Obama will be a special one because I will see him face to face and probably greet him. I cannot wait to get a selfie with him…….,” said Paul before bursting into laughter. 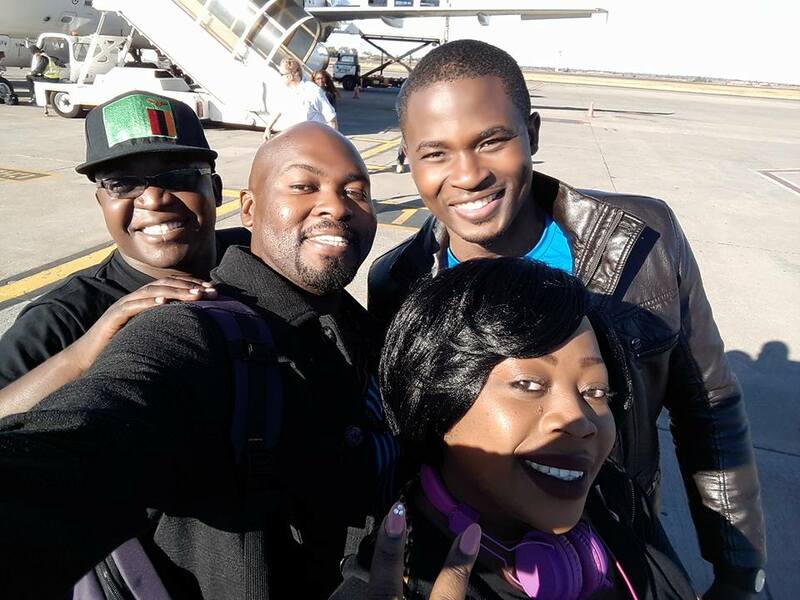 And when asked about his future prospects after coming back home, Paul says he has major plans for ZNBC and the media. “With the help of my employer ZNBC, I plan to help set up desks for specialisation in the newsroom. Am learning how American newsrooms operate with specialised reporters in each desk. We can replicate that back home. We will be touring several media institutions and meet opinion leaders who can help me in that area. It is real, it is there and people are going hungry every day in America. Every time we think about the United States, we imagine a society where everyone has food, everyone drives and everyone is enjoying life. But that is not the case, there is poverty in the United States of America. But not everyone agrees that some people in the richest country in the world, go to bed on an empty stomach. Even well known researchers and pundits deny that poverty exists in the country. Writing in Forbes magazine on October 3, 2015, Tim Worstall, a fellow at the Adam Smith Institute in London said: "Paul Therouxs latest book is a travelogue across the Deep South. And in it, according to his introduction to it in the NY Times, he asserts that said Deep South has been impoverished by the capitalist plutocrats offshoring all the jobs. That this isnt in fact how an economy works is easy enough to forgive, for many people hold the same, incorrect, opinion. However, the other part of Therouxs argument, about the existence of poverty in America, is less easy to pass by. Simply because he is a well traveled man, he has seen real absolute poverty up front and personal. And he should indeed know that nothing like that at all actually exists in the United States." However, the reality on the ground is that there is a silent minority of beggars, homeless people and those doing what Americans call minimum wage jobs who cannot manage to support themselves. According to a report entitled Income, Poverty, and Health Insurance Coverage in the United States: 2014 by the U.S. Census Bureau, 47 million people in the USA were living with poverty in 2014. This means that the poverty rate for that year was at 15%. The report further reveals that among those hard hit in 2014, people with disabilities accounted for 29% (4 million people) while 16% of women lived in poverty. To get first hand information on poverty in America, this blogger decided to research and analyse the situation during his short stay in the country. In the USA, Syracuse city is now ranked the highest metropolitan area with poverty among African-Americans and Hispanics. The city is located northern part of New York state. According to the 2015 estimate of the United States Census Bureau, out of a total population of 144, 142 of Syracuse, 35.1% live in poverty. The report states that of that population, 56.% are whites, 29.5% are African-Americans while Hispanics make up 8.3% of the city. According to an article published by syracuse.com on September 5, 2015, "Syracuse is at the leading edge of a disturbing national trend in which the number of people living in extreme-poverty neighborhoods nearly doubled from 7.2 million in 2000 to 13.8 million in 2013, the highest on record." The article states that the data is based on a 2015 report by Paul Jargowsky, the Rutgers University-Camden professor who published the study with The Century Foundation. Coincidentally, this blogger is in Syracuse for six weeks and is investigating and writing a number of stories on poverty in America. At Syracuse University, there is a famous street where beggars and homeless people are found. On Marshall Street, both white and black beggars are found and Police keep an eye on them because sometimes they can be aggressive in their pursuit. The image projected by Hollywood movies and TV channels that there is no poverty in America is totally different from what one can see if they venture out of these big US cities. Like many other small cities reliant on industries, Syracuse has seen several plants closing and people losing jobs over the years. The town has recorded an increase in unemployment which has resulted in poverty increasing in the southern part of the town which is mainly inhabited by blacks (African-Americans). 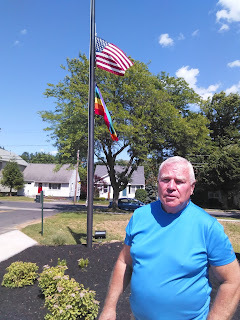 In the northern part of the town is a growing community of mainly Asian and Hispanic immigrants and a small but increasing population of Congolese. Syracuse Deputy Mayor Bill Ryan concedes that his city has one of the country's highest poverty levels and he blames the trend for the increase in crime and the abuse of drugs in the city. Mr Ryan, who is also the City's Chief of Staff, says shootings in the city where three people lost their lives in the past three weeks are as a result of poverty and increase in gang activities. "Because they live in poverty, these criminal gangs are now resorting to drugs and crimes. 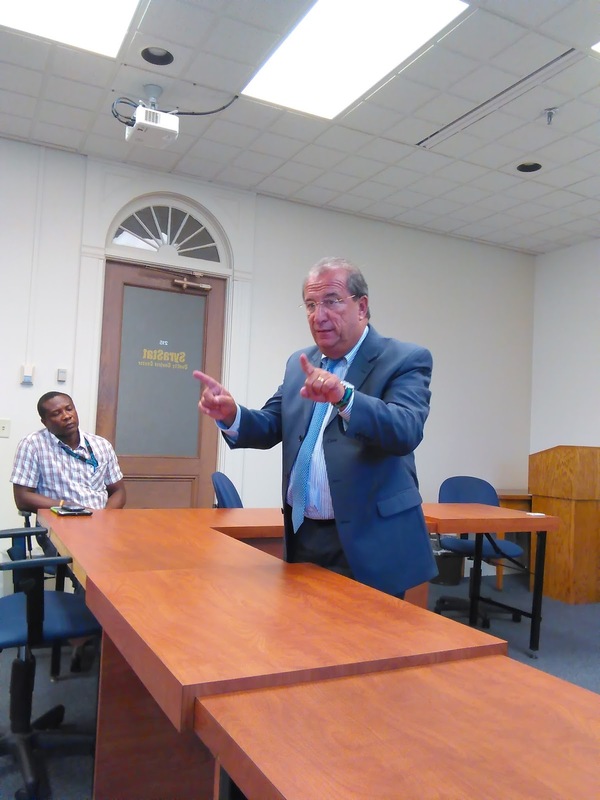 We are doing everything possible to ensure we find the people involved because in the area where these shootings happened, we never had such incidents," said Mr Ryan when he addressed Mandela Washington fellows who visited City Hall recently. 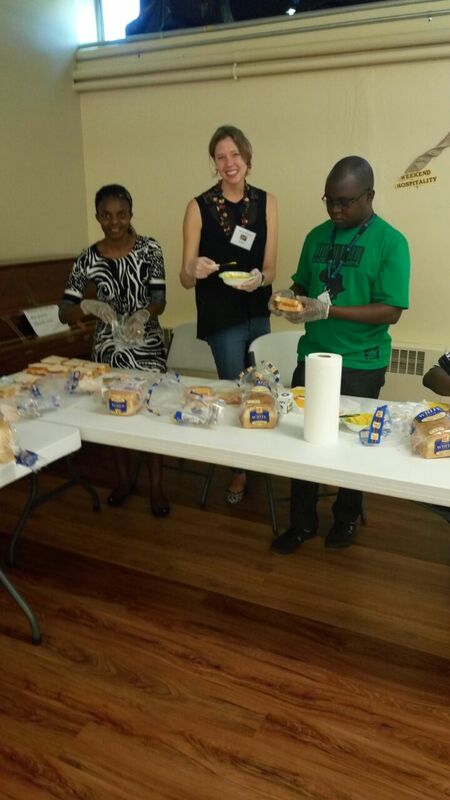 On Tuesday, this blogger joined other Syracuse University-based 2016 Mandela Washington Fellows to help in making sandwiches for poor people at the Bishop Harrison Center which is run by the Catholic Church. 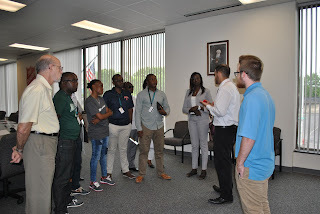 The trip was arranged by the university to help the young African fellows appreciate the challenges Americans in poor communities face on a daily basis. The center, which is located at the All Saints Parish of the Catholic Church, hosts volunteers who make sandwiches twice a week to feed poor people who cannot afford to buy food for themselves. "The sandwich program started in 1990 and we make one at least a thousand sandwiches per week to feed people in need. We make them here at All Saints but they are transported to Assumption Parish in the north where they are given to people who cannot afford to feed themselves," said John Stopher, a volunteer who coordinates the program. A former science teacher, Mr Stopher says he works with mainly volunteers who give their time to help feed the homeless, poor and needy. "Per day, we feed about 500 with lunch and supper. People who receive our sandwiches are those who are unemployed, those who are doing minimum wage jobs and those who cannot manage to feed their families. Sometimes we even have parents coming with their children," he added. Mr Stopher, who gave a 30 minutes briefing to the visiting Mandela Washington Fellows, said he has a heart for volunteering and his Catholic faith has helped him spend a lot of time helping the needy since he retired. "I no longer work and I have a pension. I now volunteer here at the center. I also volunteer for the blood bank and the Red Cross. This spirit of volunteering is very common in our city and we have a couple of people coming down here to help out with sandwiches every week."
In the past 26 years the program has been running, church members and food companies have sustained the sandwich program by donating food stuffs to feed the needy. When the meals are ready, those in need are fed irrespective of their religious affiliation and are not obliged to be registered.
. Usually we receive a huge number of people towards the end of the month when pay cheques run out," said Mr Stopper. 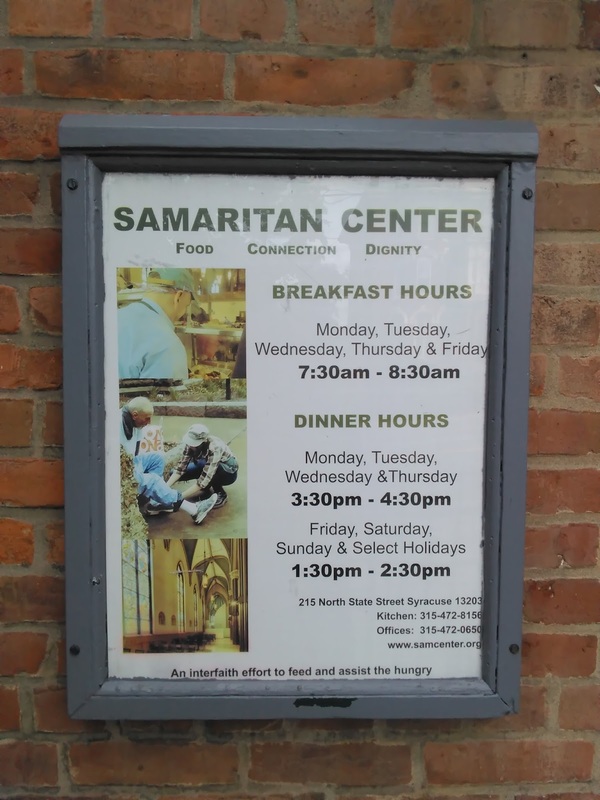 Another church-run feeding program is the Samaritan Center, a former church building which is now the only hope for hundreds of people who cannot to feed themselves. 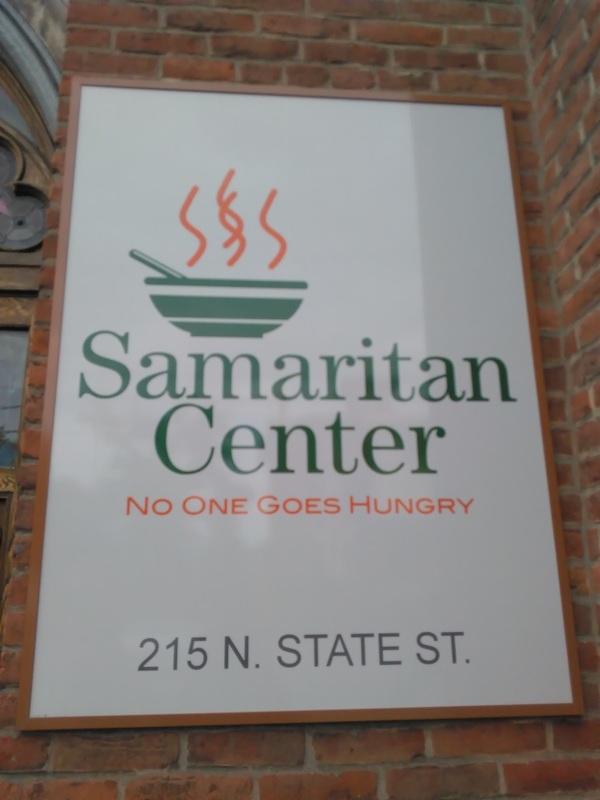 The center was established by seven local churches and it receives donations of funds and food stuffs from restaurants and several other donors. It offers breakfast and supper to between 150 and 400 people on a daily basis. According to officials at the Samaritan Center, about 150,000 meals were saved last year. Most of the people fed are African-Americans but there is also a significant number of white people who receive the meals. 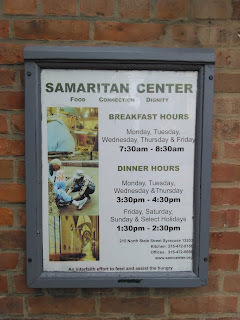 Just a few kilometers away from the Samaritan Center is the headquarters of the Salvation Army, another religious center where poor people are housed and fed for free. The place offers free lodging for individuals and families who have been evicted or are homeless. They are fed, given life skills and helped to get jobs. On average, the homeless are given shelter for 20 days and there after they are expected to find a job or a new home. "We are located in the southern part of Syracuse because this is where poverty is. We serve over 38,000 people through 41 separate programs, catering different groups of people," said Andrew Sabbaghzadeh, Resource Development Director at the Salvation Army Syracuse Headquarters. He said Salvation Army was working hard to fit into the US federal government's plan to eradicate poverty by 2022. "Syracuse is nationally recognised because of its poverty. We are doing our best to cater for the poor through our programs." The Salvation Army, which has been operating in Syracuse for over 100 years, has an annual budget of $20 million funded by grants from the federal and state governments as well as donors. According to Salvation Army Onondaga County Chief Executive Officer Major Karla Clark, most of the money is raised during Christmas parties. "Despite being a church, the Salvation Army serves people of all races and religious faiths. 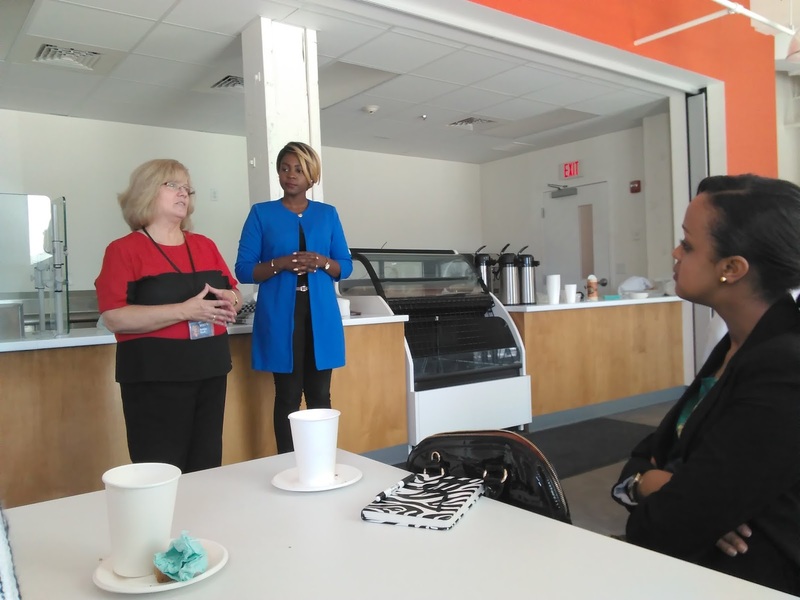 Nobody is required to be a church member in order to receive our services," said Major Clark when she addressed visiting 2016 Mandela Washington fellows at her office. Apart from offering shelter and food to the homeless, the church also runs the Therapy program which is aimed at helping youths break away from gangs and find alternatives like jobs and education to reduce the levels of violence in the city. Syracuse is estimated to have over 100 gangs. Apart from these church run initiatives, poor people in Syracuse, a town which falls under Onondaga County, have two other options of having a meal. Firstly, the Onondanga County provides food and other supplies through a program called the Food Bank. Here, those in need are registered by the county administration and queue up at centers to receive their meals. According to Stopper, the Food Bank in a county benefits from US Federal funding. Food banks operate like warehouses where food stuffs are collected and stored before being distributed to NGOs and food pantries which give food to the needy. Secondly, the needy also receive meals from several centers called Pantries where free meals are issued at no cost. The pantries survive on generosity from donors and other well wishers to feed thousands of people in Syracuse. Apart from receiving donated food supplies, the pantries also buy cheap food stuffs from the local Food Banks. I have lived a life of poverty, a life full of problems, a village life of being a kachema wangombe (cattle herder) and now i can dine with Kings, Presidents and comrades from all around the world. Am Paul Shalala, the boy who in the 1990s used to wake up at 04:00hrs and help his father tie cows, go to the field and plough. Am the same Paul who used to walk to Kasalu Primary School, learn and later go home to look after our cows two of whom i fondly remember being named Kingdom and Manyando. Am still the same Paul who later went to Mumbwa High School, Evelyn Hone College and worked for New Vision newspaper, MUVI Television and now the Zambia National Broadcasting corporation (ZNBC). Oh by the way am still the Paul who solely runs this blog you are reading The Zambian Analyst. Am still the same village boy who has at least traveled to a few countries in Asia, Africa, the Middle East and Europe to cover events and later receive phone calls from my fellow villagers to confirm that they heard my voice on TV1. What am i trying to say with all this confusion am creating in your precious mind? Am Paul Shalala, a villager who never ever dreamt of ever stepping a foot in an American University. But yesterday, i was given an access card, a meal card, a room, an ATM card (really) and a tour of Syracuse University, a prestigious university located in the small town called Syracuse, a few kilometers north of New York City in an area the locals call the upstate. By the way this is not just a simple university, its the institution which educated Joe Biden, the current Vice President of the United States. This is no Matero University (where fake PhDs can be produced in 30 seconds). I never paid anything to find myself here. Actually, children of the rich are the ones who were supposed to be here, not ine Mumbwa-Mumbwa. But who am i to find myself at the Maxwell School of Citizenship and Public Affairs at Syracuse University? What did i do for me to deserve this chance to be among the 1,000 Mandela Washington fellows who are currently studying at various universities for the next six weeks? Here is a bit of background in case some of my villagers are reading this. In August 2006, when Barack Obama visited Kenya as a first term Senator, it was the first time i ever heard of this son of a Kenyan man who was destined to be the world's most powerful politician for an eight year period.. In the run up to his 2008 historic election as the 44th President of the United States, Obama had a lot of sympathy from many of us in Africa for obvious reasons. At the time i was a cab reporter in Lusaka and i remember interviewing some people to get their reactions to his election and what it meant for Africa. In a major policy speech in Accra, Ghana in July 2009, President Obama said the future of Africa was in the hands of its young population and there was need for Africans to seize the opportunity. In the subsequent years, Mr Obama established the Mandela Washington Fellowship which has over the past four years sent thousands of African youths to American universities to study business and enterprenueurship, civic engagement, energy and public management. The selection of fellows for this program is so intense that in the past two years i had been applying and failing but on the third attempt, the US State Department selected me. This fellowship is an opportunity for poor, little educated and unexposed young Africans like me to mingle with America's highly educated Professors, visit historic places around the country and at the end of the fellowship see Obama in your own eyes and take a selfie with him. Obama went to the White House as the first Black (not vama African-American) President though of course Africa argues that the first black American President was Bill Clinton due to his many beneficial contributions on the continent. I know by now some of you may be wondering why am taking you around in this article. In short, this article is meant to show that it is possible for a village boy like me to one day walk the streets of Yale, Havard, Rutgers, Wagner, Virginia Tech, Columbia and many other prestigious American universities if they believe in themselves and push themselves to the limit. Dad's words inspire me a lot and since he uttered them, i have seen his wisdom having an impact in everything i do. This coming week i will start my studies in Public Management and i will be in the same class with other African fellows who have Masters Degrees, Bachelors Degrees and several other academic qualifications. I will share the same seats with an elected Councillor, Government officials, Media personalities and several other high ranking people from across Africa. But ndemuchangu (poor me), the small kachema (Cattle herder) from Mumbwa will sit quietly, listen attentively and learn from these highly acclaimed lecturers and get the best that the American education system can offer to poor me. By the way, am still the same Paul from Lubanze Village in Nangoma area of Mumbwa, am just privileged to be in New York today. 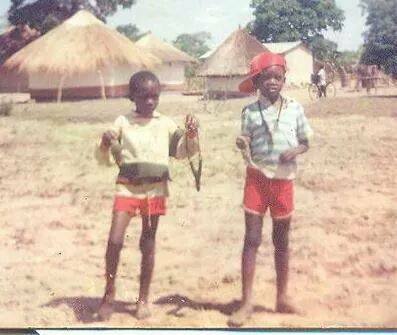 Am still that same Lozi villager who comes from that Tonga village in Mumbwa. And when am done with the fellowship in August, i will go back to my beloved Zambia to continue doing my news job at ZNBC. I will reclaim my villager tag upon landing at Kenneth Kaunda International Airport in Lusaka. But for now ladies and gentlemen, allow me to forget about my villager status and sample the American foods and explore this great nation since my status here is that of a fellow: shhhh they don't know that am a villager.